OLED is short for Organic Light Emitting Diode, a device composed of thin carbon-based films placed between two electrodes that creates light with the application of electricity. Unlike other screen technologies, (like LCDs), which require backlighting, OLED displays are emissive devices - they emit light rather than manipulate transmitted external light. 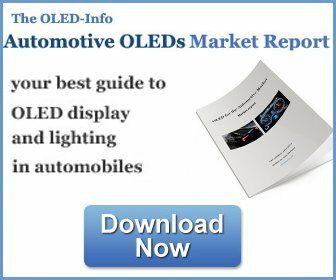 OLEDs provide brighter, crisper colors and contrast on electronic devices and use less power than conventional light-emitting diodes (LEDs) or liquid crystal displays (LCDs) used today. This revolutionary technology is fit for various types of screens, like computer screens, mobile phones, tablets, TVs and more. OLED screens are light, thin, high-resolution and contain individually-lit pixels that make for true blacks and superior color contrast. 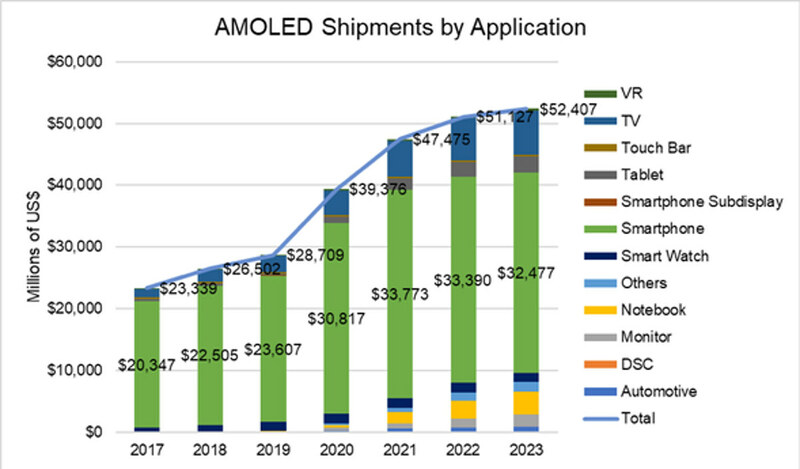 OLED displays are already very common on mobile phones (in fact about a quarter of all mobile phones now ship with an OLED - and that percentage is climbing as Apple, Samsung, LG, Huawei and others adopt OLED displays in their best smartphones). 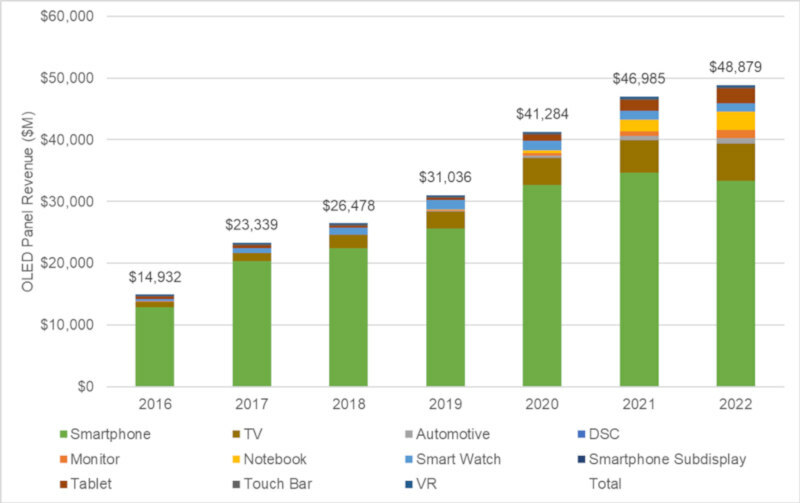 OLEDs are just now starting to make inroads into the tablet market, though - as these larger displays carry a high premium over competing LCDs. The leading company that produces and adopts OLEDs is Samsung, and indeed the company's latest high-end tablets all use OLED displays. 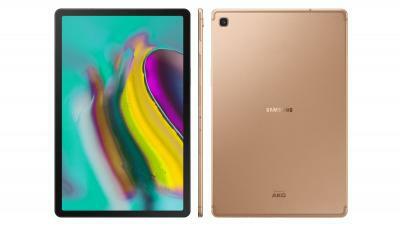 Samsung's flagship tablet, the Galaxy Tab S4, for example, introduced in August 2018, sports a 10.5" 2560x1600 Super AMOLED display, a Qualcomm Snapdragon 835 Octa-core chipset, 4GB of RAM, 64/256 GB of storage and a microSD slot. The Tab S4 includes Samsung's S Pen and supports DeX. The Galaxy Tab S4 is now shipping for $649.99 for the Wi-Fi, 64GB model (note: affiliate link to Amazon) and $750 for the LTE, 256 GB model. 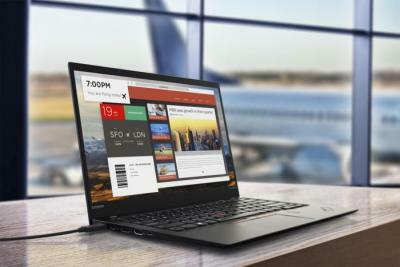 Another example is Lenovo's X1 Yoga 2017 edition - which is a hybrid tablet / laptop that has a 14" 2560 x 1440 display - either an LCD or an OLED. The OLED model (256GB SSD, 8GB of RAM and an intel Core i7 CPU) costs $2349. Click here for a full list of the latest OLED tablets on the market. 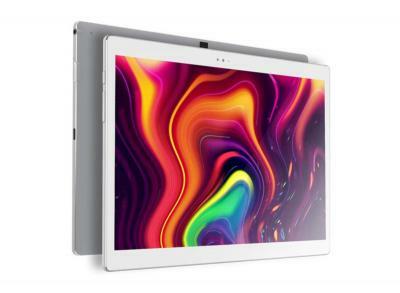 Samsung's Tab S53 offers mid-range performance with a snapdragon 670 octa-core chipset, 4/6 GB of RA and 64/128 GB of storage (with a microSD slot). The 7,040 mAh battery provides up to 14.5 hours. The Galaxy Tab S5e is now shipping starting at $399. Huawei launched its first foldable smartphone, the Mate X with a glorious 8" 2200x2480 foldable AMOLED display that folds outwards. When closed, the phone operates as it has two displays - a 6.6" 1148x2480 on the front and a smaller 6.38" 2480x892 display on the back (which makes room for the cameras). The Mate X specifications include 5G connectivity, a Kirin 980 octa-core chipset, 8 GB of RAM, 512 GB of storage, a NM memory slot and a quad camera setup with Leica optics. Samsung finally officially launched its Galaxy Fold foldable smartphone device. The Galaxy Fold features a 7.3" 1536 x 2152 foldable Infinity Flex AMOLED display that folds inside, in addition to a secondary cover display - a 4.6" 840×1960 Super AMOLED. Besides the exciting foldable display, the phone/tablet device features an octa-core chipset, 12 GB of RAM, 512 GB of storage, a large battery, triple camera setup on the back and dual front cameras. US and China based Royole launched the world's first foldable OLED device - the FlexPai phone/tablet. The FlexPai has a 7.8" 1920x1440 (308 PPI) AMOLED display, when unfolded, The display folds outwards, and when folded the device has three different displays (front, back and spine). Royole is now accepting pre-orders for the "Developer Mode" device, starting at $1318 for the 128GB model. The first devices will ship in late December 2018. 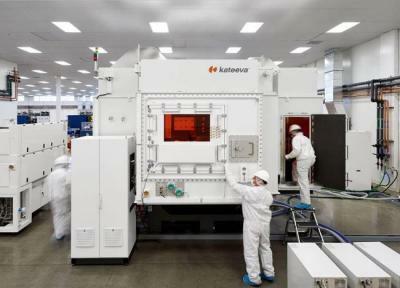 The company said the device has passed bending, twisting and tension tests over 200,000 times, and the display is much more durable compared to current displays (as it is not covered by glass). 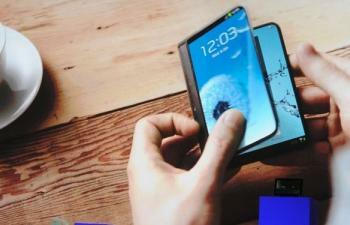 According to a report from ETNews, LG Display is collaborating with Lenovo to develop a foldable tablet. The tablet will use a 13" foldable OLED - which LGD aims to start producing in the second half of 2019. The 13" display will be around 9" when folded. So this device will stay in the tablet size category when folded, this will not compete in the smartphone market. This is the first time we hear of such a device under development - which could make sense as a tablet is not used as much as a smartphone is - and so the number of supported folding cycles can be lower.